Store in cool, dry and good ventilated place. Temperature range: 0-35. Mix well after paint can is opened. To prevent hardening of the paint, the can should be closed during the interval of application. Thinned paint should not be poured back to the original can. Recoat interval should be prolonged in winter. To prevent the surface from erosion and avoid the precipitation of alkaline component, wall surface drying time should be relative long. Stop application when temperature is below 10, or humidity over 85%. Apply with Royal touch matching primer for best performance. For information of Manufacture Date, Lot No., Net weight and Expiring Date, please refer to the product label. Clean all equipment with clean water immediately after use and prevent unused paint from freezing. 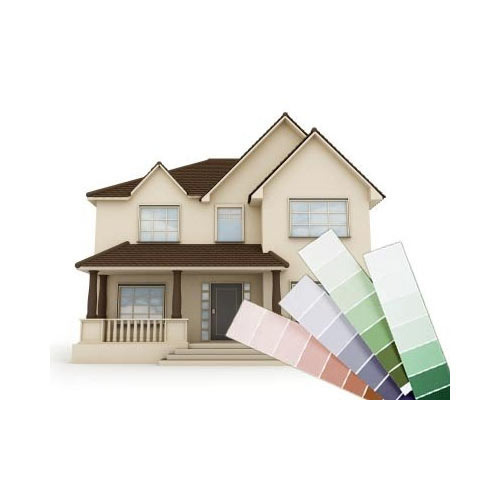 We are successfully Manufacturing, Supplying and Exporting a wide range of Oil & Water Based Paints, Universal Stainer Paints, Paint Containers, Paint Raw Materials like Binders Alkyds, Pigments, Oxides, Titanium Dioxide, Matt Finish Oil Paint, Semi Gloss Oil Paints, Wood Finish Furniture Paint, Enamel Black Paint, Enamel Road Marking Yellow, Enamel Road Marking Black, Polyurethane Car Paints, Floor Paints, Road Marking Paints, Q Spray Paint, Metallic Paints, Acrylic Glossy Durable Paints, Enamel White Paints, Polyurethane Paints, Zinc Phosphate Primer, Zinc Rich Primer, Wood Glue Adhesive etc. The company is a registered member of SSI, NSIC and FIEO. We do the OEMs Buyers Brands for several countries, Help the International Distributors with their own Independent labels. All our products are par excellence in all parameters like quality, delivery, packaging & pricing. Customer satisfaction has always been our prime concern and we strive hard to achieve it. Adopting ethical business practices, the company has imprinted a reputable name for itself as a trustworthy enterprise dealing in a wide variety of Paints and Paint Raw Material. The company utilizes its wide spread business association and supplies the products to various parts of the globe. Owing all the above mentioned features, we are able to garner a huge clientèle across the globe such as Indian Subcontinent, Gulf, Africa, CIS Countries, Russia and North America.